With our Scented Wonder Cube we have chosen some of our favourite flowers, combined them with brilliantly scented flora and displayed them in a stylish glass cube vase. The results is a stunning arrangement that brings the joy of the season into your home, while retaining a chic elegance. 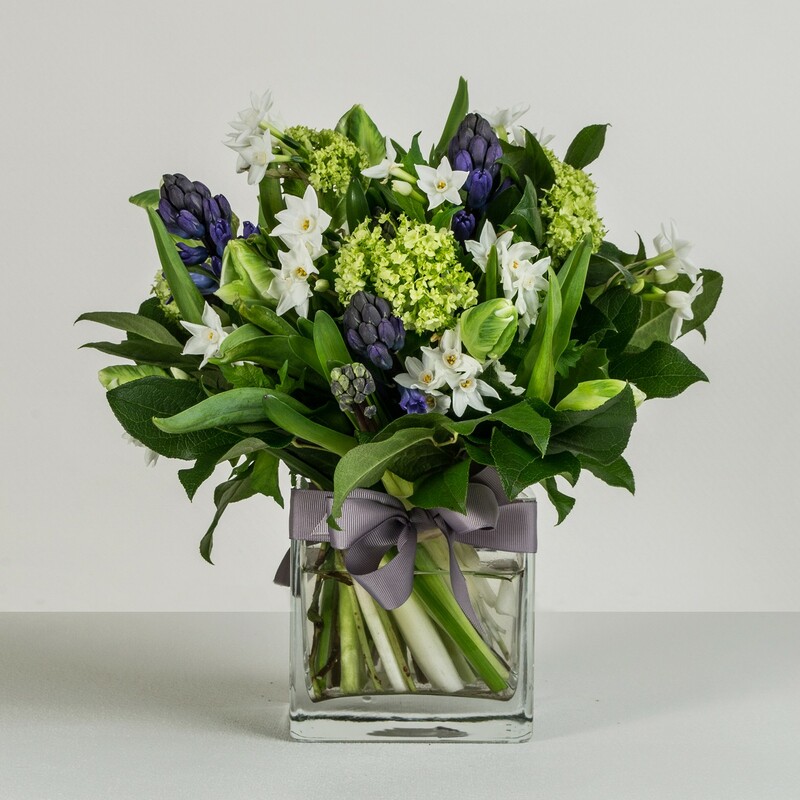 The star-shaped heads of snowy-white narcissi shine against the lustrous green of the foliage and the rich purple of hyacinth buds, while the dainty clusters of viburnum add texture. The sweet, intoxicating fragrance of the hyacinth ensures this is a bouquet that is sure to attract attention, and it will make the perfect table centrepiece.